Today, communication over the Internet so tightly come into our lives, that often we talk much more via the keyboard, rather than by phone or live chat. To communicate through the network created a lot of resources: social networks, forums, chats, instant messaging (ICQ), voice communication (Skype) etc. I do not always want to indicate your real name. Therefore, many point to his nickname, which means an alias, computer name, nickname, etc.. It can be described in various ways. 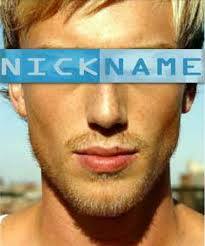 In a word - it is a fictitious name, which appears to the user on the Web.